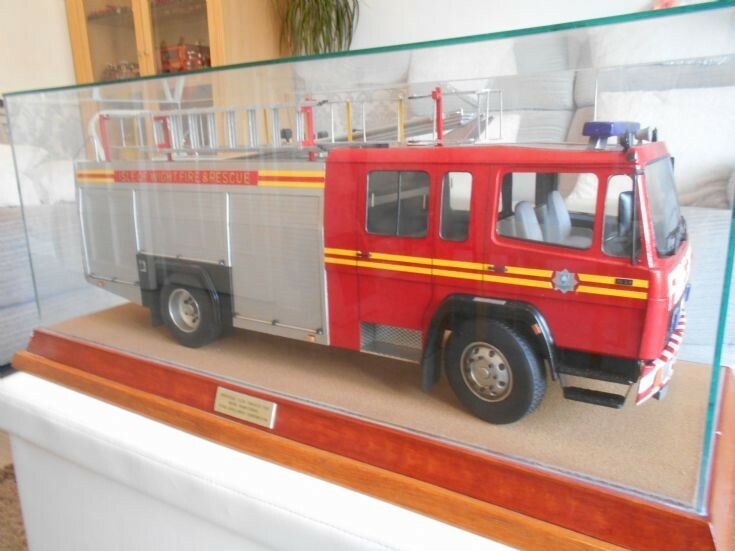 Superb large scale model (70cm)long Isle Of Wight Mercedes WRT taken 01/04/2019, I am the proud owner of above but unable as yet to trace the builder, Help please, i would also like the same scale model of a Kent Fire Brigade RS Dennis 133 made. The above is actually a WRL water tender ladder. Added by Roy Moore on 07 April 2019. And quite rare. Unlike the Atego, which replaced it, the Mercedes Ecoliner was not a very popular choice with UK fire brigades. They did however appear in fire service fleets all over Europe and the Middle East, as well as in a few South American countries.